SpaceX scrubbed an attempt to launch a commercial Falcon 9 rocket Sunday less than a minute before liftoff, blaming a sensor issue on the vehicle’s first stage and pushing back the company’s first national security mission for the U.S. government at least 24 hours. The Falcon 9 launch director called a hold at T-minus 52 seconds as the countdown ticked toward a planned blastoff from NASA’s Kennedy Space Center in Florida at 7:15 a.m. EDT (1115 GMT) Sunday, immediately ordering the launch team to ready for another try Monday. “Hold hold hold! This is the launch director calling a hold on the countdown net. We have an issue with the TOTO sensor on the first stage. Launch conductor, please put us into a 24-hour recycle,” the launch director said. 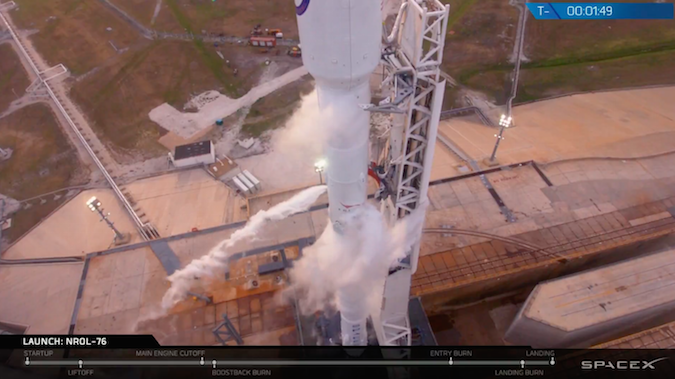 “Copy, launch abort is running,” the launch conductor replied on SpaceX’s countdown loop. No details on the nature of the instrumentation problem were provided by SpaceX. “The team was looking into a sensor issue on the first stage that was a bit out of family with what we were expecting, and out of an abundance of caution, we have decided to scrub today’s launch,” said John Federspiel, a mechanical design engineer who provided commentary on Sunday’s countdown during SpaceX’s live webcast. SpaceX’s backup launch opportunity, already reserved on the U.S. Air Force’s Eastern Range, opens at 7 a.m. EDT (1100 GMT) Monday. The launch window extends for two hours. Weather conditions should be favorable for a launch Monday, with Air Force meteorologists calling for a 70 percent chance the weather will meet the Falcon 9’s flight rules. “The southeasterly low-level winds will become stronger through the day today as a frontal boundary moves into the Gulf Coast states,” the Air Force weather team wrote in an updated forecast issued Sunday morning. “By Monday morning, the front will make its way into the Florida Panhandle, adding the potential for upper-level cloudiness over the spaceport. “The main weather concerns for a Monday morning attempt will be liftoff winds and thick layer clouds associated with instability ahead of the frontal boundary. Maximum upper-level winds will be from the northwest at 50 knots near 45,000 feet,” forecasters wrote. The launch will mark the 33rd flight of a SpaceX Falcon 9 rocket, and the company’s first mission dedicated to the National Reconnaissance Office, a U.S. government agency responsible for developing and operating clandestine intelligence-gathering satellites. 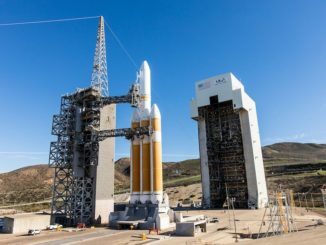 Most NRO missions over the last decade have flown into space aboard Atlas 5 and Delta 4 rockets provided by United Launch Alliance, SpaceX’s chief competitor in the domestic launch market. 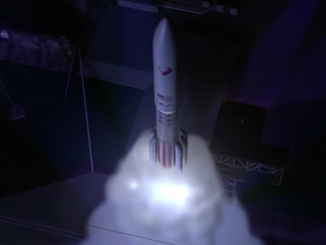 But more NRO and Air Force satellites could soon launch on SpaceX rockets. The Air Force’s Space and Missile Systems Center, responsible for military launch procurement, plans to hold competitions between ULA and SpaceX for the rights to send future sensitive national security payloads into orbit. 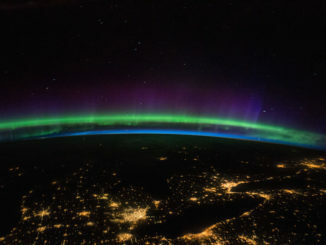 The competitions have already started, with SpaceX winning two contracts to deploy GPS navigation spacecraft for the Air Force. At least six top secret NRO satellite missions are up for grabs by SpaceX and ULA over the next couple of years. The launch contract for this mission, codenamed NROL-76, was arranged differently. An NRO spokesperson said Sunday that a commercial company, Ball Aerospace, booked the launch with SpaceX as part of a “delivery in orbit” contract with the NRO. Delivery in orbit typically describes an arrangement where a spacecraft manufacturer — in this case, apparently Boulder, Colorado-based Ball Aerospace — is in charge of all satellite preparations, the launch and in-orbit testing, before handing over control of the payload to the end user once it is operational in space. The satellite’s purpose has not been disclosed. Hazard notices released to pilots and sailors in the days leading up to the NROL-76 launch indicated the Falcon 9 rocket will head northeast from Cape Canaveral, a hint that the payload will go into a high-inclination orbit that passes over most of the world’s population. The altitude of the spaceraft’s target orbit is also unknown.